Giving us your specifications gives us a great start in selecting or recommending or designing a fabric for your product. We can then source from a wide range of Textile mills and then offer you sample swatches, pricing and delivery lead times. Many of our mills can offer hundreds of different styles and variations of a wide range of fabrics based on their many years of experience. If not, we can look at putting together a fabric based on your specific needs or on something you have seen elsewhere. Using generic or internationally branded yarns and finishes depending on your requirements. New collections, showcasing new styles, technologies and performance are generally released every year. We can keep you up to date to incorporate into own range. We visit major cities in Australia and New Zealand every year so be sure to make yourself available during our sales visits by contacting us. 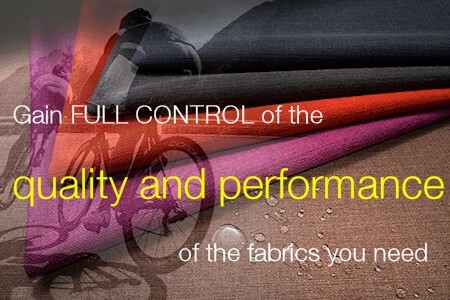 We can meet many international standards to offer you a fabric that must meet certain performance criteria, such as high visibility, Antistatic performance, Arc Flash resistance waterproofness, breathability, air permeability and many others. We can also manufacture to the highest quality standards meeting for example Oekotex or Bluesign certifications.